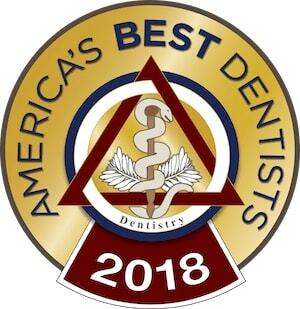 Are you unhappy with your smile and want a completely reversible way to permanently whiten your smile, reshape your teeth, and achieve a Hollywood smile? Lumineers are an alternative to traditional porcelain veneers that can give similar results but don’t require modification of your natural teeth. The only way to learn whether Lumineers or porcelain veneers in Columbus are best for improving the appearance of your smile, is to talk to a cosmetic dentist. Please call (614) 848-5001 or email Firouzian Dentistry today for an appointment. Lumineers are similar to traditional porcelain veneers. However, patients must undergo significant tooth reduction prior to placement of veneers. Tooth reduction makes a bonded veneer appear natural, lying flat, in line with existing teeth. However, when natural dentition is removed, it cannot be replaced. Most veneers are thick, so they require a patient to have significant tooth reduction, and they are not reversible. Because the leucite-reinforced, pressed ceramic used for Lumineers is stronger than that of traditional veneers, it can be made thinner without compromising durability. A thinner veneer means little or no tooth reduction is required. This means that Lumineers can be a painless solution for your smile makeover. With Lumineers, if you ever decide that you want your natural smile back, your dentist can simply remove them. Thin porcelain also allows light to enter and reflect off of natural underlying tooth structure, so they project your existing tooth shading and appear completely natural. Although they are a good solution for many people, they’re not for everyone. For example, some discoloration may be so severe that Lumineers cannot adequately whiten your teeth. In other cases, your teeth may be chipped and cracked as a result of bite problems or TMJ that might need to be fixed before placing them. And sometimes your teeth might benefit from dental crowns, especially if they have cracks that have weakened them. The best way to learn which is the right solution for your smile is to talk to a cosmetic dentist in Columbus about Lumineers and porcelain veneers. Please contact Firouzian Dentistry today for an appointment.